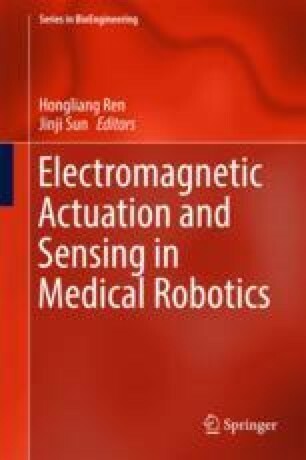 This work was in part supported by the Singapore Academic Research Fund under Grant R-397-000-173-133 (Magnetically Actuated Micro-robotics), R-397-000-227-112, and National Natural Science Foundation of China NSFC grant 51405322, NUSRI China Jiangsu Provincial Grant BK20150386 and BE2016077 awarded to Dr. Hongliang Ren. Ruddy, C., E. Ahearne, and G. Byrne. 2012. A review of magnetorheological elastomers: properties and applications. In Advanced Manufacturing Science (AMS) Research. http://www.ucd.ie/mecheng/ams/news_items/CillianRuddy.pdf. Accessed 20 2012.